Buying a door may not always guarantee that your home will be 100% safe. 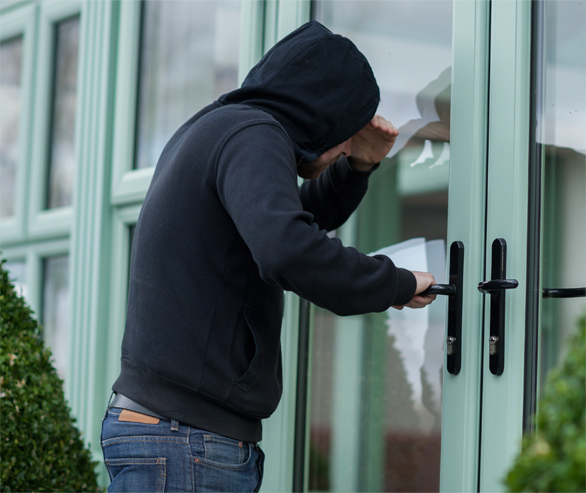 Burglars are becoming increasingly good at sourcing weak points in doors, leading to the cracking of locks and the potential threat of entering a property. That’s why we include Ultion Lock as standard on all our doors, to ensure your home is kept as safe as possible; reducing your worries, and making your home one to enjoy. When it detects attack, a hidden lock within the Ultion automatically engages, so that even when snapped twice nothing gets past it. Leaving a key on the inside of the lock won’t affect its performance either. This makes Ultion Locks the most secure on the market. 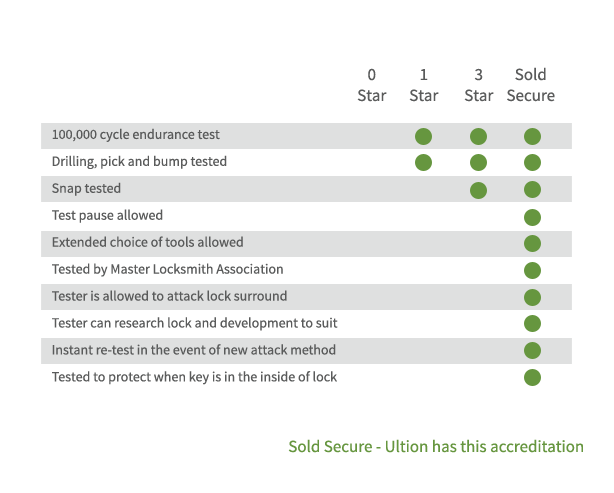 After rigorous testing, Ultion has been proven to succeed in 7 additional ways that other locks don’t. Meaning nothing beats the Ultion, not even the finest 3 star locks, making it the UK’s best and most secure lock guaranteed. 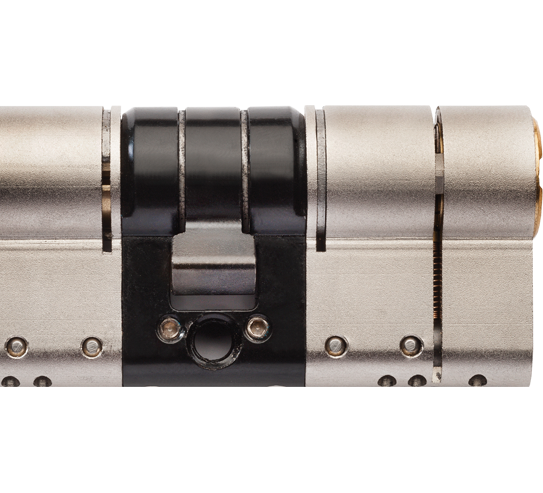 The moment your Ultion Lock detects forced entry, it activates an attack lock directly into the central cam called ‘lockdown mode’. This will prevent perpetrators from gaining entrance in to your home. Once again making this lock, the most secure on the market. At both ends of every Ultion lock there are 6 hardened steel rods and 2 plates. The plates protect the lock from a drill attack through the key way, whilst the 6 rods will stop a drill attack through the bottom of the lock stopping the intruders’ drill getting to the mechanism that keeps your home and family safe. If an intruder tries to get in your home by picking your Ultion lock he will need to be considerably more skilled than your everyday lock picker. Not only does he have 11 pins to manipulate all at the same time, but he also has to contend with pins specifically designed to protect from picking.